Lights, camera, action! If your nonprofit organization uses social media, you’ve probably heard about one of Facebook’s newest and most popular features: Facebook Live Video. Facebook Live allows individuals and pages with a Facebook account to livestream video, meaning it occurs in real time on followers’ newsfeeds. Nonprofits especially can utilize this tool for live engagement with donors and volunteers through a platform fit for their lifestyles. So how can your nonprofit get involved in the action? Check out this step-by-step guide for setting up Facebook Live Video and some ideas to get started. As of right now, only individual profiles and verified pages can use Facebook Live. 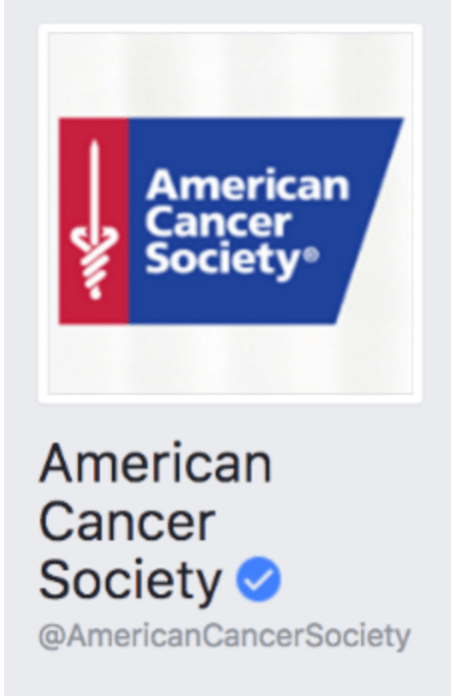 Verified pages have a blue or light gray checkmark next to their profile name, such as the American Cancer Society. 2. Set up a plan. Before beginning Facebook Live Video, remember: Once you start broadcasting, you’re broadcasting. Keep in mind viewers expect live videos to have mistakes, so be light-hearted and show a more realistic side of the organization. However, you should still have purpose and a plan for what content you cover in the video. Pick a topic you think people will find interesting and build a storyline around it. Write compelling points for the video, though not necessarily an entire script. Establish objectives, who will be involved in the process and what to accomplish. Tell a story for viewers, encourage engagement and prompt viewer likes and comments. Keep the livestream flexible and in-the-moment, but don’t go into it blind. There are plenty of ways a nonprofit organization (NPO) can utilize Facebook Live Streaming Video to its advantage. 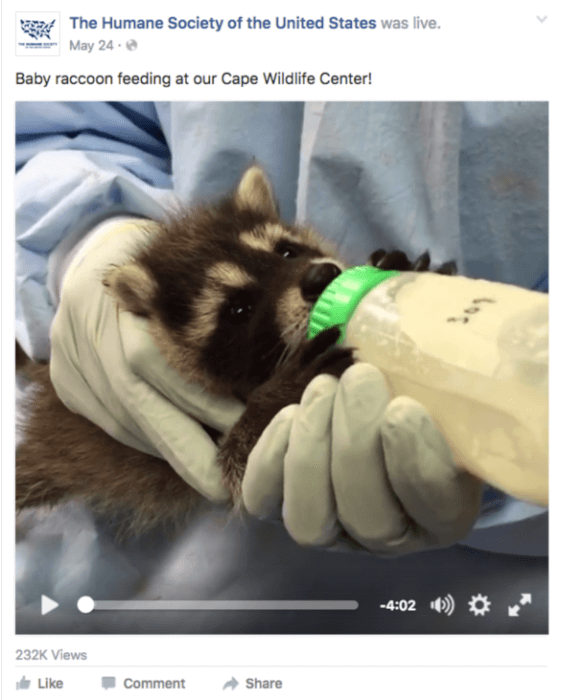 For instance, The Humane Society of the United States livestreamed a video of one of their caregivers feeding a baby raccoon. 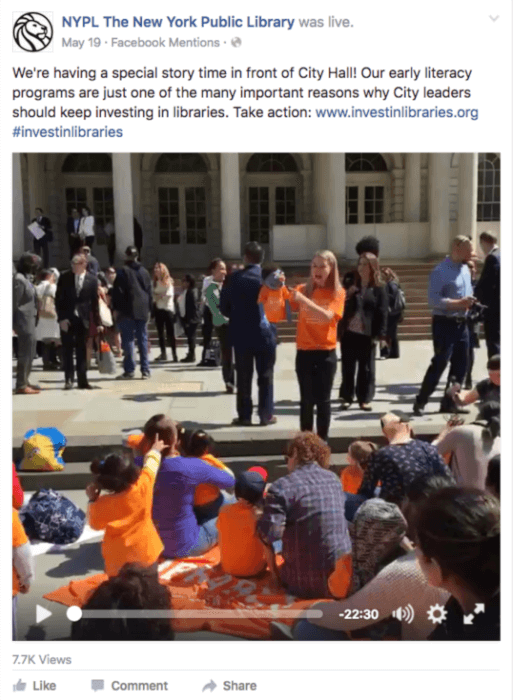 Or the The New York Public Library showed a live video with pro-literacy petitioners outside City Hall. Consider these simple ideas when developing your strategy for Facebook Live Video. Live broadcast an event. For individuals who may not be able to attend an event, a live broadcast gets them engaged and in-the-moment with your NPO. Facebook Live from the field. Share important “mission moments” with followers. Did you raise money for a child battling cancer? Did you get a new round of shelter puppies? Let constituents know! Staff interviews. Offer a Facebook Live series for viewers to meet the organization’s staff and volunteers. Let them see the faces behind the effort and they’ll be more likely to get involved with your cause. Office tour. Give supporters an insider’s glimpse of the NPO by offering an office tour of your location. Make it fun and interactive with staff, interns and volunteers so constituents truly feel engaged. Celebrity takeovers. Can a local celebrity work in conjunction with your nonprofit? Get them involved and livestream a campaign message from your organization’s Facebook page, creating a compelling and eye-catching message for followers. Crowdsourcing. Have an idea for a new logo? What about a new program or initiative? Feel out how constituents will respond by using Facebook Live as a crowdsourcing option for feedback and easy survey information. Celebrate announcements. Your NPO can really have some fun with Facebook Live streaming and use it to broadcast recent announcements. Did you switch locations or gain a really big donation? Get supporters involved and celebrate with them by livestreaming. Once you have a plan in place and an idea for what to shoot, it’s time to start broadcasting live! Computers do not offer Facebook Live, but mobile devices do. The feature works through the Facebook app, so no worries about downloading and learning a new social media platform. Step one: Open the Facebook app on a mobile phone. Step two: Follow the options provided by Facebook and start broadcasting. Take your time. 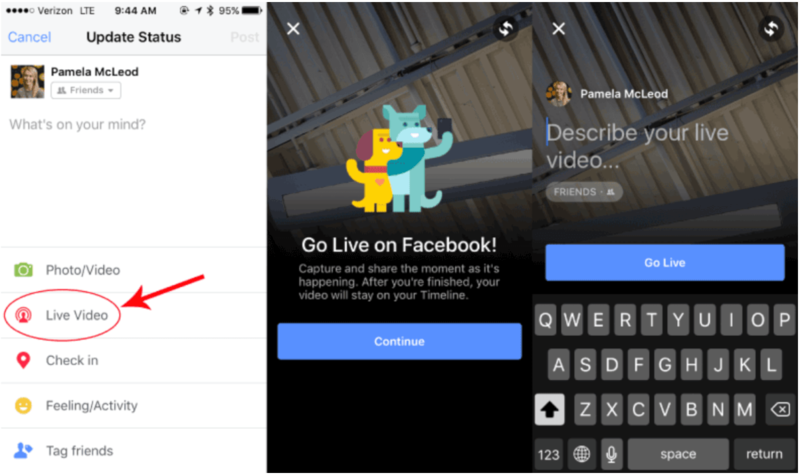 Unlike regularly pre-recorded videos, Facebook recommends live broadcasts last anywhere from 5–20 minutes. Longer videos give followers a chance to log in and see what’s happening while the broadcast remains live. Have a strong CTA. Don’t forget to include a compelling call to action at the end of a livestream video. Ask for followers, shares and comments to encourage engagement from supporters. Plus, take time to direct them to your website to learn more about your cause and how they can get involved. Respond to comments. Since viewers can comment in real-time with live video, take this opportunity for personal engagement. Respond to comments specifically in a positive way to let supporters feel heard. The best way to manage this is to have one volunteer recording the message while another responds to live feedback. Be selective. While live videos offer excitement and interest, don’t go overboard. Because page followers receive notifications when live videos upload, make sure not to overwhelm them. Keep live videos scarce and special occurrences. Once the livestream closes, Facebook will automatically save the video to your NPO’s page for future viewings. You also have the option to save the video to the phone’s camera roll for other sharing options. Remember: While you can edit the description, keywords and tags of the video after posting, you cannot edit content, so be prepared. When it comes to storytelling on social media, Facebook Live takes engagement to a whole new level. Facebook Live Video offers fast, dynamic and real-life visual storytelling for your NPO to appear transparent and trustworthy. By utilizing this key tool Facebook provides, your nonprofit organization can gain followers and constituents while growing its cause. So get out there, and get streaming! Want to take your nonprofit organization’s video marketing and social media to the next level? Firespring offers helpful materials, webinars and seminars on how your nonprofit can market itself to further its cause. Find out more by calling 877.447.8941 or email hello@firespring.com.